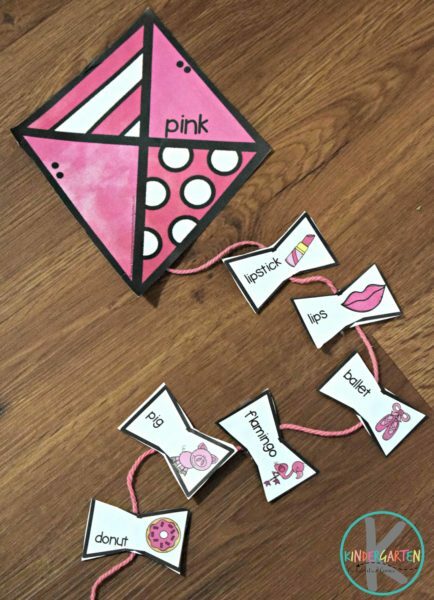 This super cute, spring themed, Kite Color Matching Activity is perfect for preschool and kindergarten age kids to practice colors. This free printable colors activity is a fun way for kids to practice matching 11 common colors to make colorful spring kits. 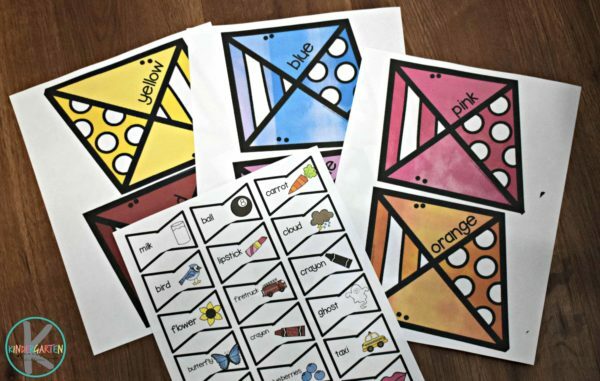 To complete this colors activity for kids you need to print the pages in color. I suggest printing them on cardstock for durability and so the pages don’t curl. 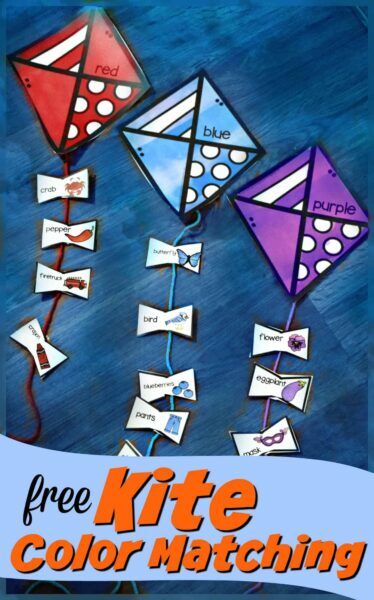 Start by printing the 11 kites: black, gray, white, brown, red, orange, yellow, pink, green, blue, and purple. Then, cut out out the kites and tassels. 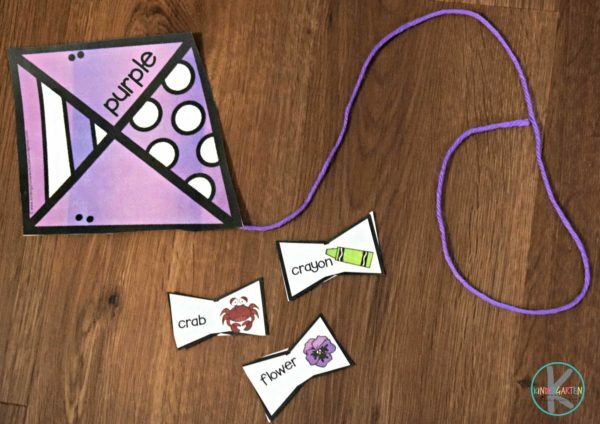 This preschool colors activity is so simple – match the images with the kite with the same color. You can tape the matching kite tail tassels onto the yarn or just set them on top if you want to make this a reusable color matching activity. 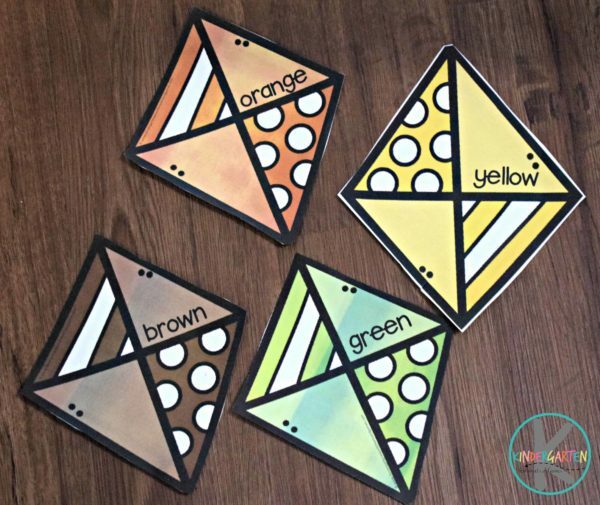 This spring color recognition activity is such a fun way for toddler, preschool, and kindergarten age kids practicing matching colors.